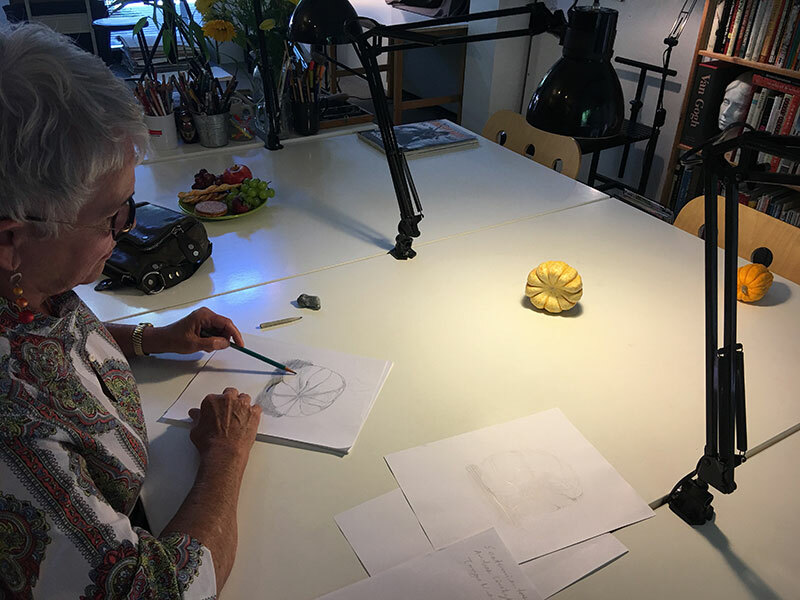 Creating the illusion of three-dimensional form on a flat piece of paper is one of the biggest challenges in observational drawing. If only we could wave a sorcerer’s wand to instantly make our drawings look three-dimensional. Like magicians, we would be able to create dramatically modeled shadows, realistic contours, and brilliant highlights without effort. 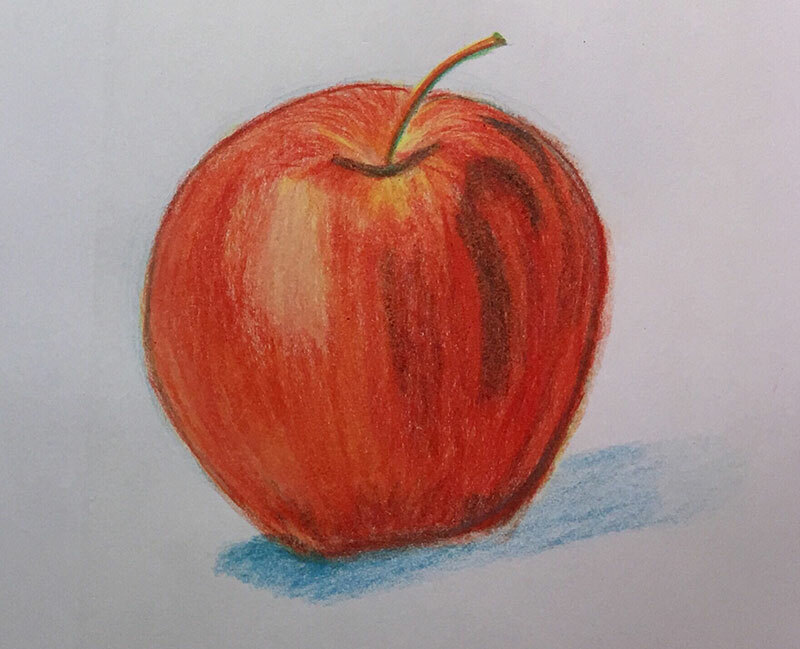 But even the greatest drawing illusionists in history agree: the true magic of realistic form begins with a keen eye for accuracy and deliberate practice. 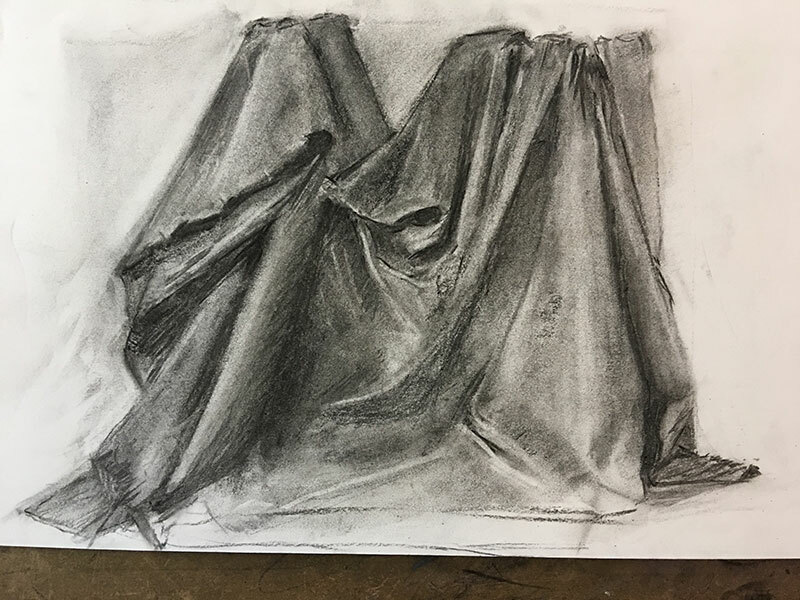 Above photos: Level 3 student, Lenore, used vine charcoal for highlights and shadows that form drapery. 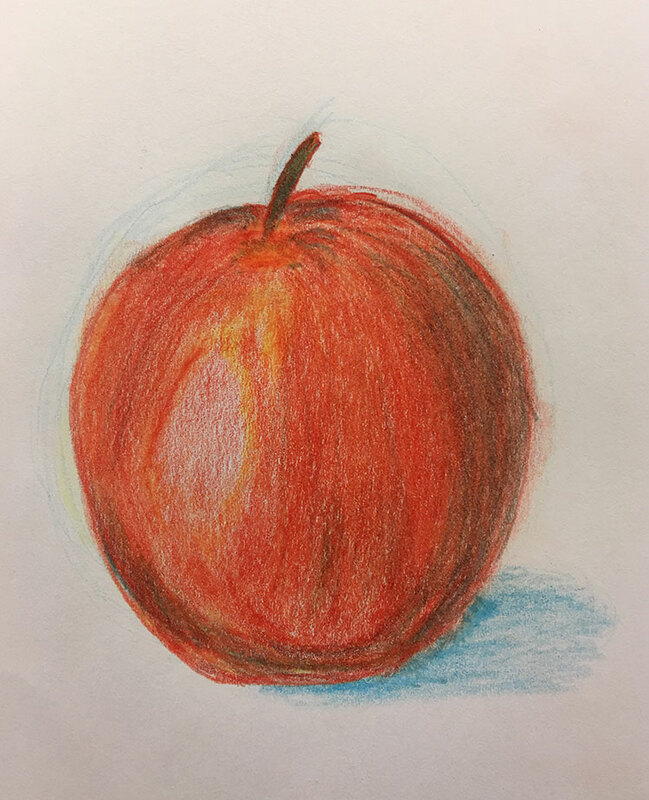 Using Prismacolor pencils to layer primary colors, Rachel worked to “acquire the true notion of the form” of apples. Illusion of depth is a prime ingredient for depicting form in space. 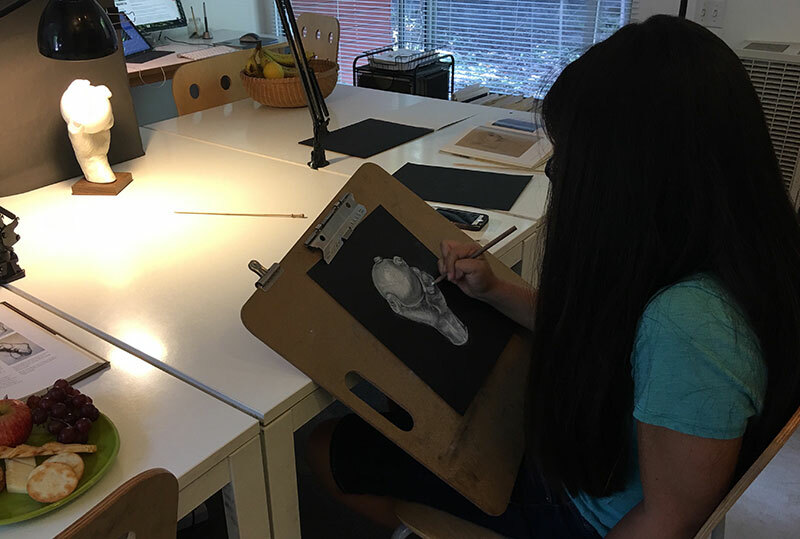 During Thursday’s youth Drawing Lab session, Devin referred to an iPad photo while composing a detailed pencil study of Canada’s Boreal Forest. 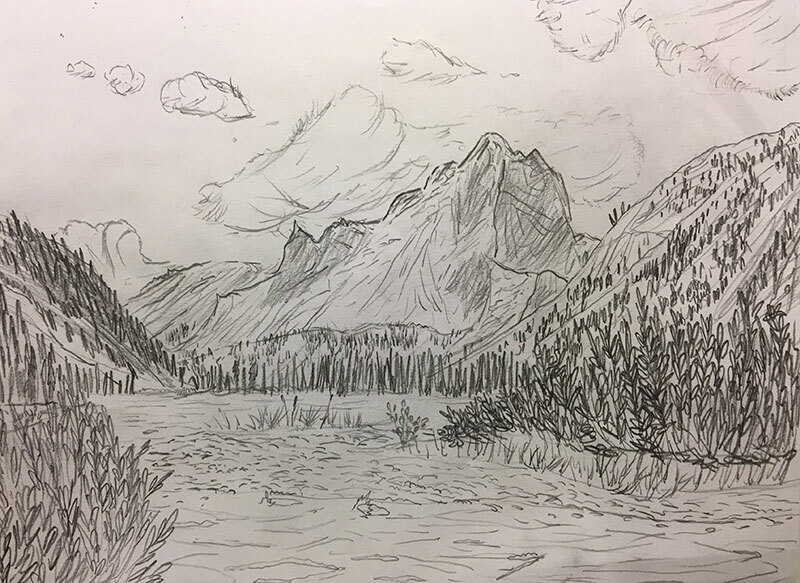 It looks like we could step right into this sketch and go for a hike! 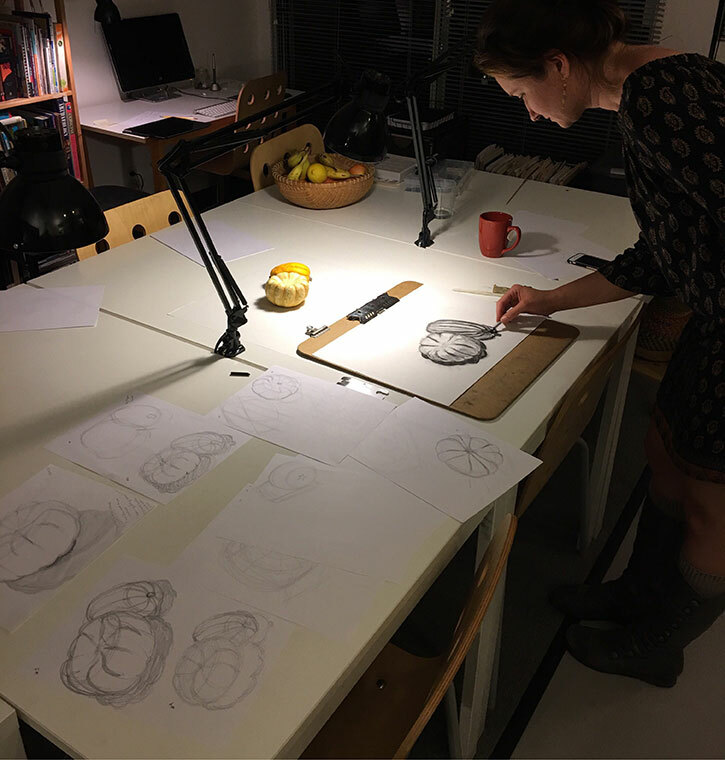 Jessica moves to Level 2 after an evening of iterative pencil and charcoal studies in contours and proportions of squash. The magic wand in the quest to draw believable form is the process of iteration. 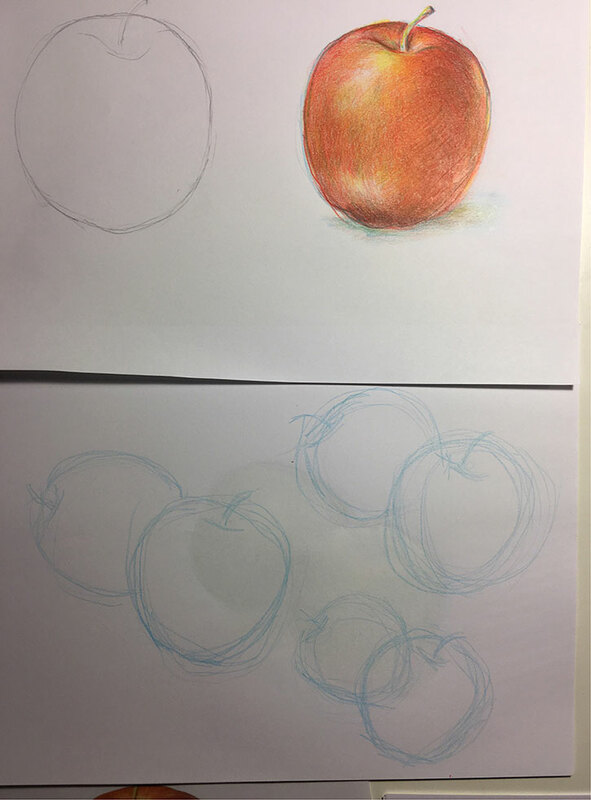 By repeating study sketches you can work through problems and achieve realistic representation of your subject. 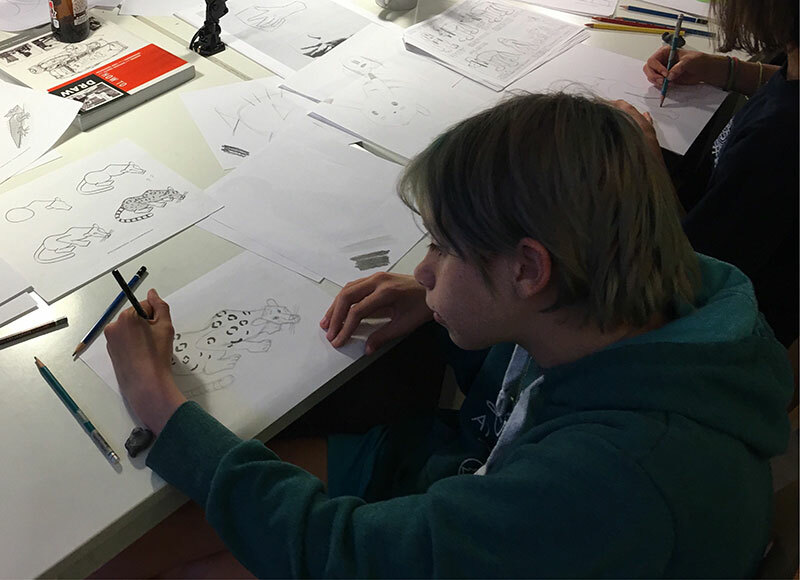 To improve accuracy, Leonardo suggests practicing iteration even when you are not at the drawing table. 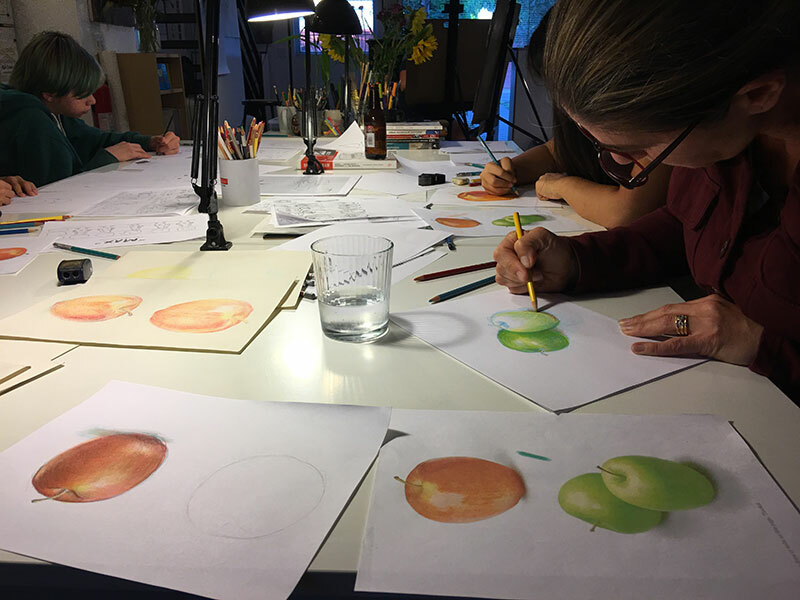 Rachel’s iterative contour studies led to exquisite layering of primary colors and representation of the forms of apples. 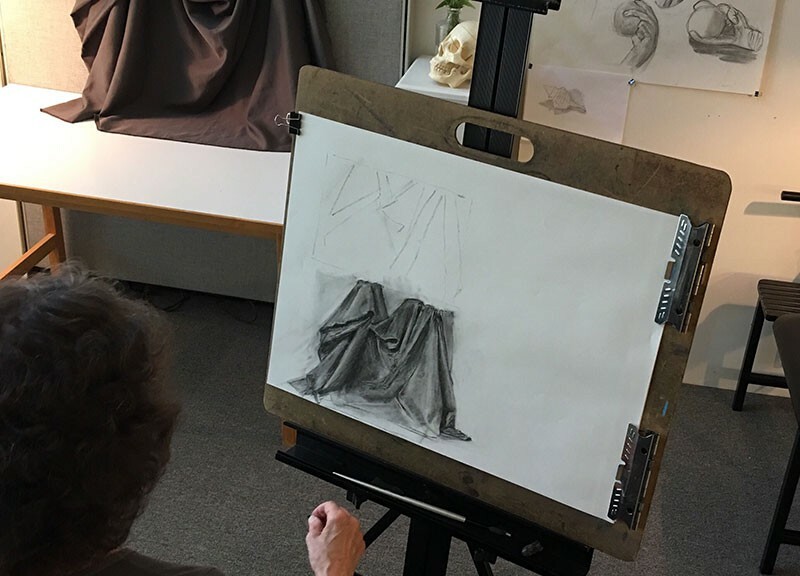 By building an accurate framework of your subject in iterative study sketches, you can then create three-dimensional form through patient modeling of light, shadows, and color. 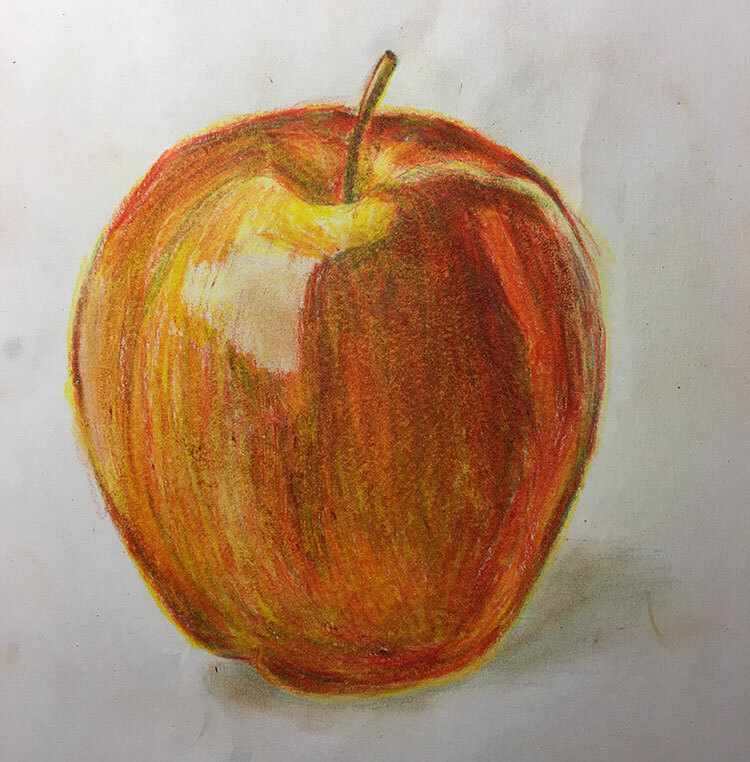 As you work, great pleasure can be found in the experience of realistic drawings magically appearing on paper—right before your very eyes! Getting squashed! Dotty jumped to Level 2 while doing a number of contour sketches during Friday’s private session. As she drew contour lines to form a jaguar, Amma sailed through her Level 1 session. Welcome to the Drawing Lab crew, Amma! 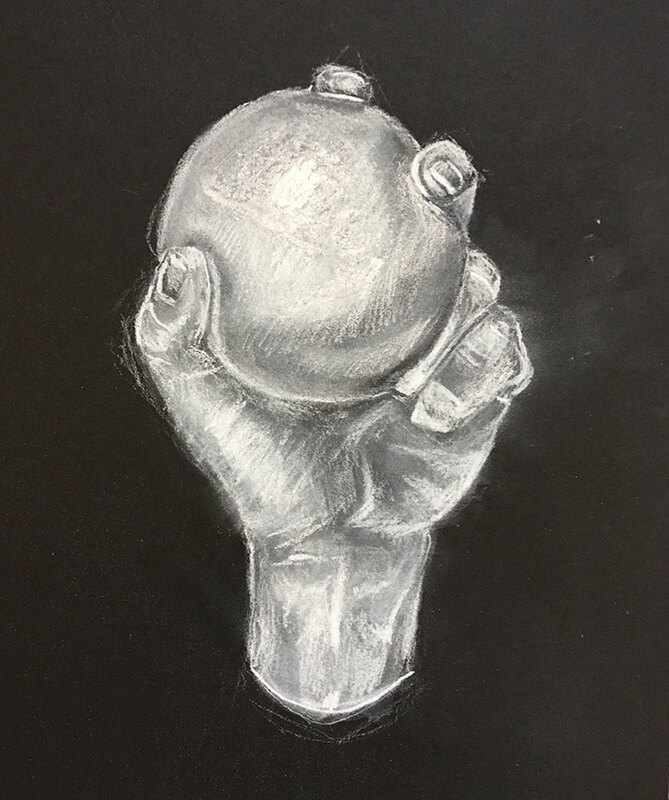 On Saturday, Level 3 youth student, Nicole, experimented with white pastel and charcoal to form the hand and sphere.